Agave utahensis var. kaibabensis is easily recognized when in bloom by its honking flower stalk, which can range up to 30 feet tall (see pictures below). The flower stalks of other Agave species are less than 15 feet tall. When not in bloom, if you see a rosette with nasty-looking teeth along the leaf margin (see pictures below), and that doesn't have other rosettes coming from the same base, you're looking at this taxon. McDougall expands on the leaves more or less incurved to mention that the incurving occurs at the tips of the leaves, not throughout the leaves. Variety utahensis is more widespread in the Canyon, but is found only below 4600 feet elevation according to Huisinga et al 2006. A newly-named species, A. phillipsiana, is thought to be an ancient cultivar produced by ancient people living in the Grand Canyon! (See Huisinga et al 2006.) It has leaves nearly twice the length of A. utahensis, and its inflorescence has long lateral branches. It produces baby rosettes at its base that make it easy to clone. McDougall lists A. deserti, which is also reported by Kearney and Peebles on the north side of the Grand Canyon (Schellbach in 1944). However, the only online voucher from Schellbach in 1944 is now determined as A. utahensis var. kaibabensis. The 1987 Grand Canyon Flora did not list A. deserti. 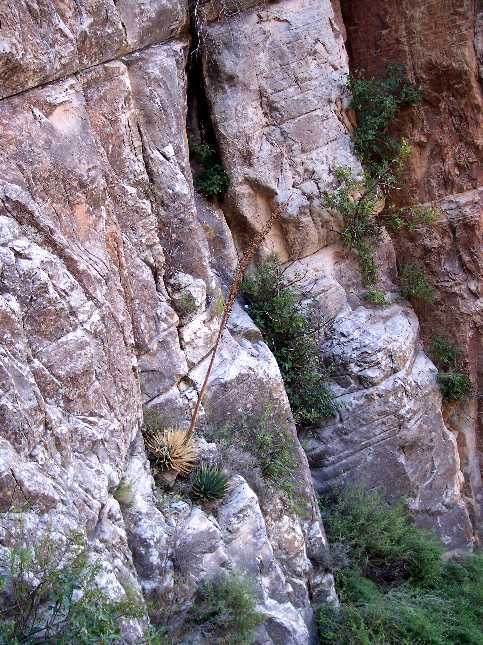 The 1987 Grand Canyon Flora reports A. parryi from an observation by Stewart Aitchison at ca. 5000 in upper Deer Creek. It is not possible to verify this from online vouchers, since there are four vouchers of A. parryi var. couesii from Coconino County with hidden localities. However, Kearney and Peebles give A. parryi only in the southern part of Coconino County. 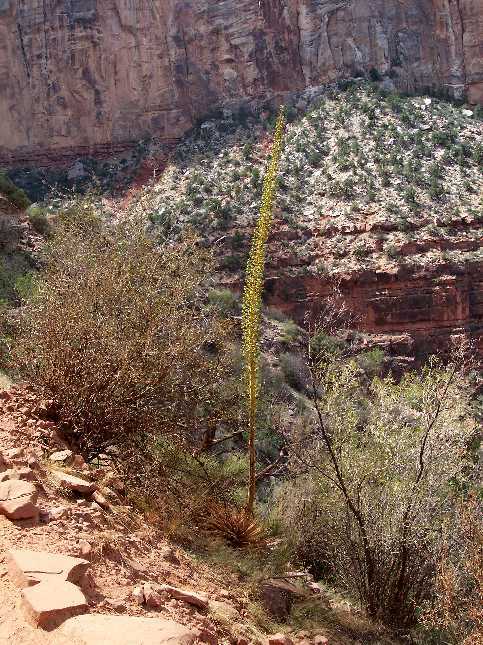 The online Park Service Grand Canyon Plant Checklist includes A. schottii, but there are no online vouchers of this in Coconino County, and the 1999 Vascular Plants of Arizona Agave treatment does not include it in Arizona. Of course, these species may be present in the Grand Canyon, but it would be nice to have some vouchers determined as these species to document their occurrence here. A. utahensis var. kaibabensis is only found in northern Arizona and possibly Utah. 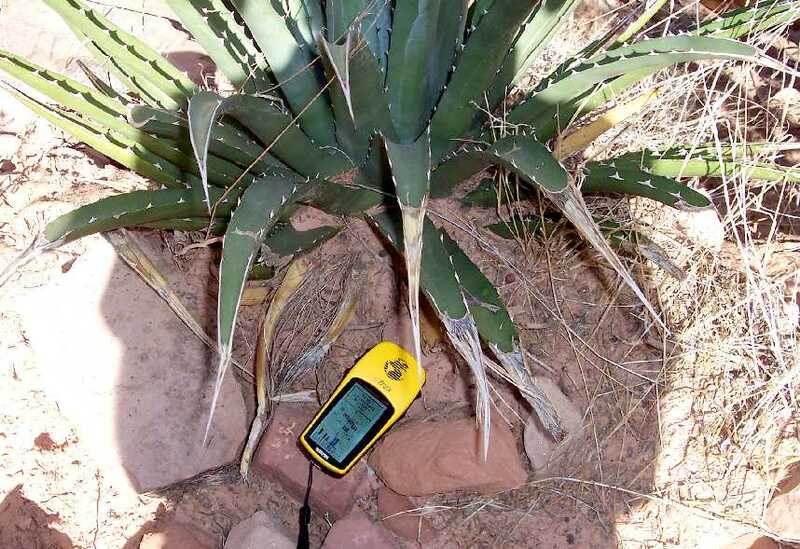 USDA Plants says it also occurs in Utah, but the Flora of North America only gives it in Arizona. Kearney and Peebles say known only from northern Arizona; Kaibab Plateau on the north side of the Grand Canyon, also within the Canyon. Huisinga et al 2006 give its location as Marble Canyon downstream to Kanab Canyon, preferring calcareous or sandstone outcrops. From a SEINet search on 29 September 2007, there are 26 vouchers of this species from the Coconino County portion of the Grand Canyon. Because the locality information is "hidden", I cannot report the nearest vouchers. Note that there may be additional vouchers at other herbaria not available through SEINet. 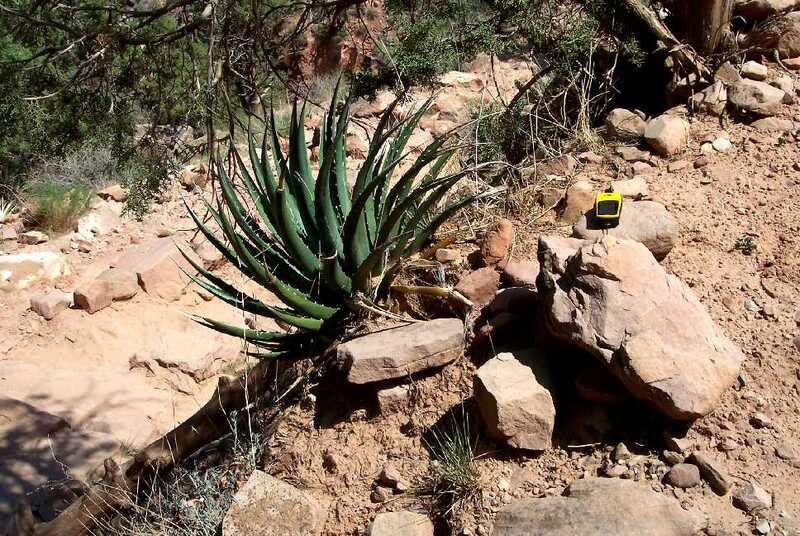 First occurrence on Bright Angel Trail: mile 2.42, elevation 5173 feet (1577 m); the first off-trail plant is at mile 0.98, elevation 6153 feet (1875 m). Number of plants along Trail: at least plants were found in at least different locations in September 2007. From 5 September 2007, mile 1.53, just off-trail: Note how honkingly-long the inflorescence is! From 5 September 2007, mile 2.42, on-trail: Note that the tips of some of the leaves actually curve outward, unlike the tips that curve inward of var. utahensis. Although the leaves on the northern side of this plant are in fact curved inward, I suspect they are just curved toward the sun, since this plant is on a north-facing slope.